Lo Ba Bung, Lurou Fan or Rouzao Fan is a very popular Taiwanese street food made out of braised minced pork topped over a freshly cooked rice. The taste is so addictive hence its popularity over the region, it is fragrant, oily, salty, sweet and sticky accentuated with a side serving of pickled turnip, pickled bamboo shoots or pickled mustard. This is another dish that reminds me of living in Mauritius, although what we had was served on noodles. One of my favorite street food when I was at Taiwan. It looks simple…but delicious! i’m craving for this for sure…. Delicious ! And thanks for the tip that it is deliberately intended to be rich – love the history as always. This looks fantastic and I don’t think I’ve ever had it. Always fun to come here. Looks delicious! Another must try! This is my kind of perfect comfort food! Wow…. 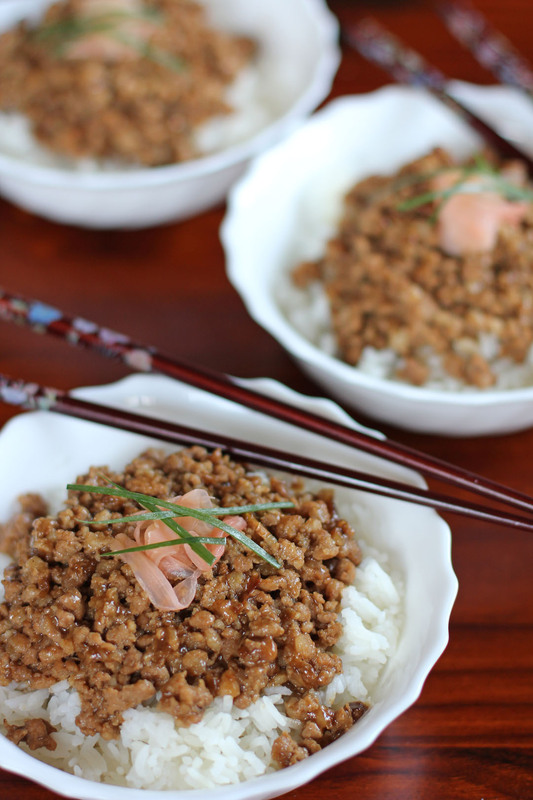 Easy and delicious, can be made a lot of variety to eat with noodle or another. thank you for this recipe. I can see why this would be addictive. Sounds tasty! It’s hard to resist salty and sweet. Oh yes! My mom makes this dish often…and we always bring extra home…so good…yours look great Raymund…like the pickled ginger. I know this rice topping dish from trips to Taiwan! So tasty! By the way Raymund, sorry I’ve been so busy lately (what with going back to work and caring for 3 rowdy kids, lol!). Can’t even get the energy to post regularly on my blog, much less think about guest posting. One day, I will be a little less stressed out…hopefully. LOL! money is not used very wisely I think for those in poor conditions because they did not get much nutrients in return. This looks so easy and so very tasty! This reminds me “a little bit” of a Vietnamese dish that I order at one of my favorite restaurants. Thanks for sharing!